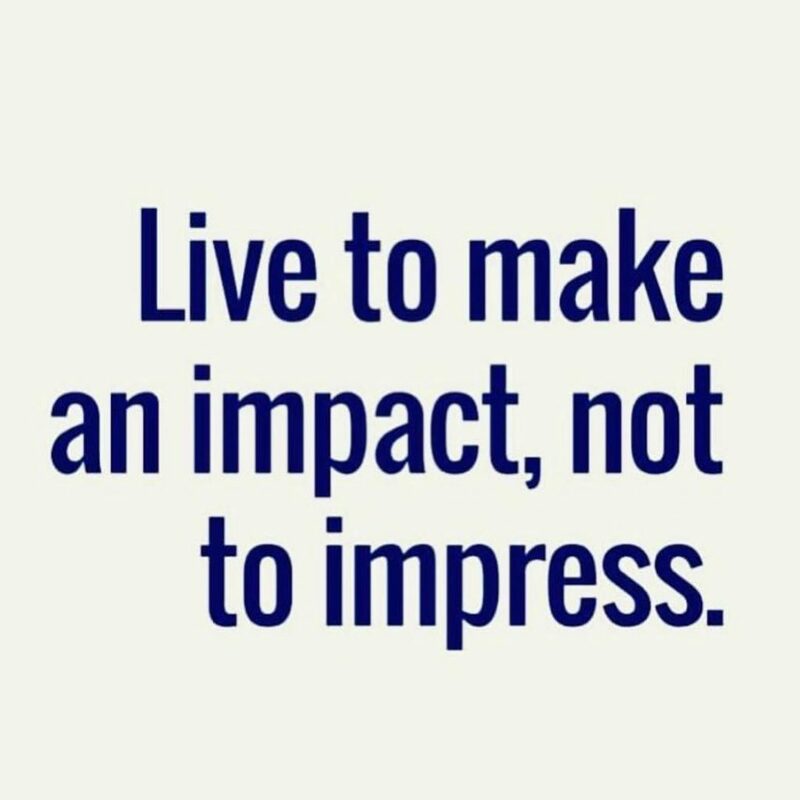 Live to impact, not to impress! How easy is this when all we have arund (social media specially)is people "pretending' to live a fairytale, perfect life with perfect job. I do believe there may be some very lucky people, but i believe even more that those lucky people doesn't not "slam" on our face. What its important, is to impact people that they will fell inspired to live their life the best and honestly way as possible. We're responsable for everything we post, say and do so why not impact people with a positive photo, quote that will impact people for their trually best!? People, we're in this world for such short time, so why not do what's right!? Let's all live happily ever after and touch everyones heart. I know it sounds cheesy, but if you stop and accuatly think about it it will make sense!